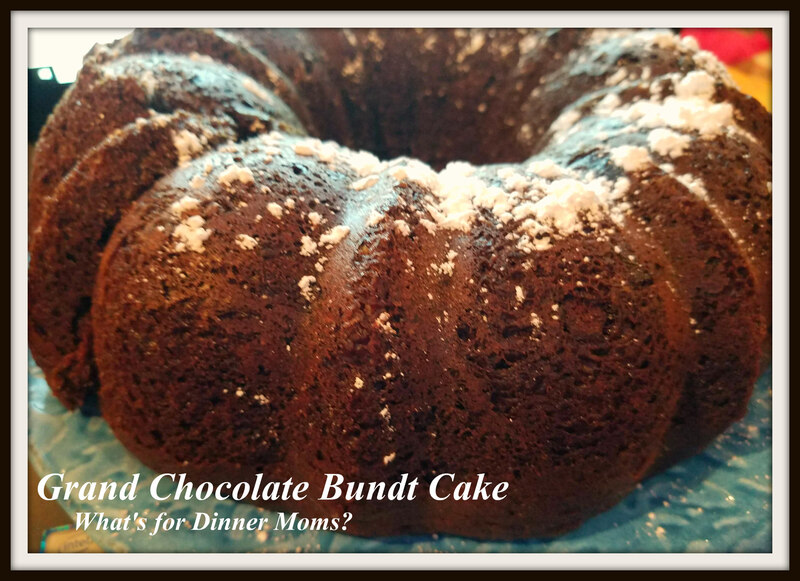 Christmas Cookies Week 6: Grand Chocolate Bundt Cake – What's for Dinner Moms? I can just picture little Grand Chocolate Bundt Cakes as the center of cookie trays. 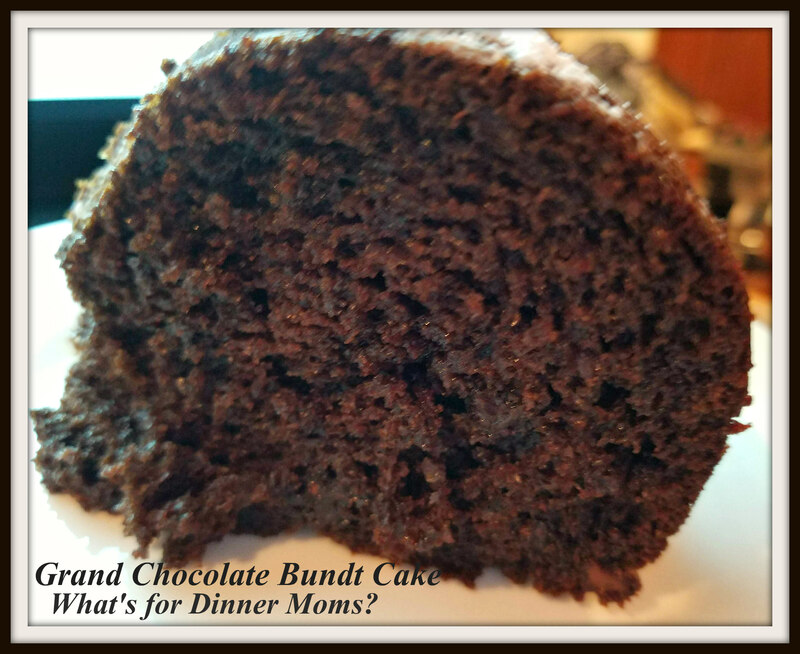 This cake is so easy, super chocolate, and so yummy! I made one large cake for us but it works perfectly in small bundt pans. With just a sprinkling of confectioners sugar over the top it is perfectly simple! This was a super hit with my family. They all said they could not tell it started with a boxed cake mix. This was gone in a day. Every time I walked by the cake I saw a thin little slice gone. Everyone loved it so much they even ate it for breakfast. Tis the season! A super simple cake that is so chocolatey! Preheat oven to 350 degrees. Prepare a bundt pan with non-stick spray. In a large bowl mix together cake mix, pudding mix, sour cream, vegetable oil, eggs, and warm water until well blended. Stir in chocolate chips to batter. Pour batter into bundt cake pan and bake for 50 to 55 minutes. Cool cake completely before inverting on a plate to serve. Dust with confectioners sugar if desired. Deine Kuchen sieht so saftig aus !!! Oh, how yummy does this look like?! I have my Grandma’s pan. Now I have the recipe. Thank you!